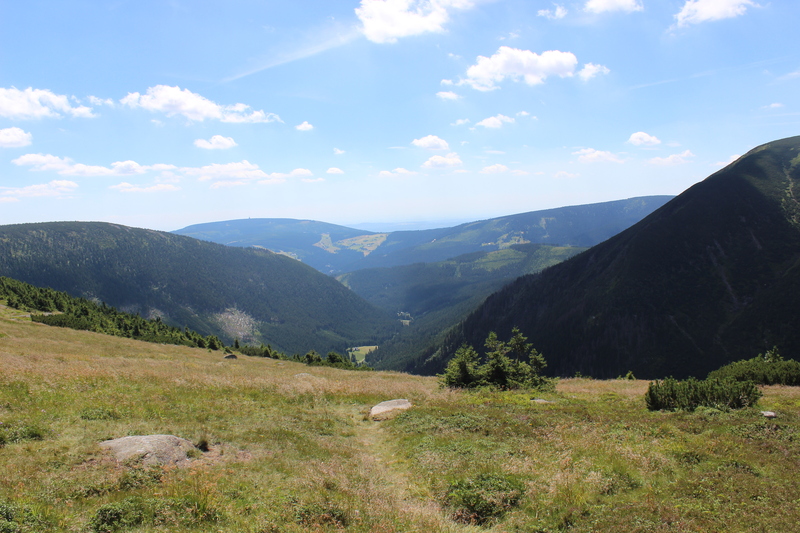 Tuesday we drove to the Czech Republic, Wednesday we decided to hike there. 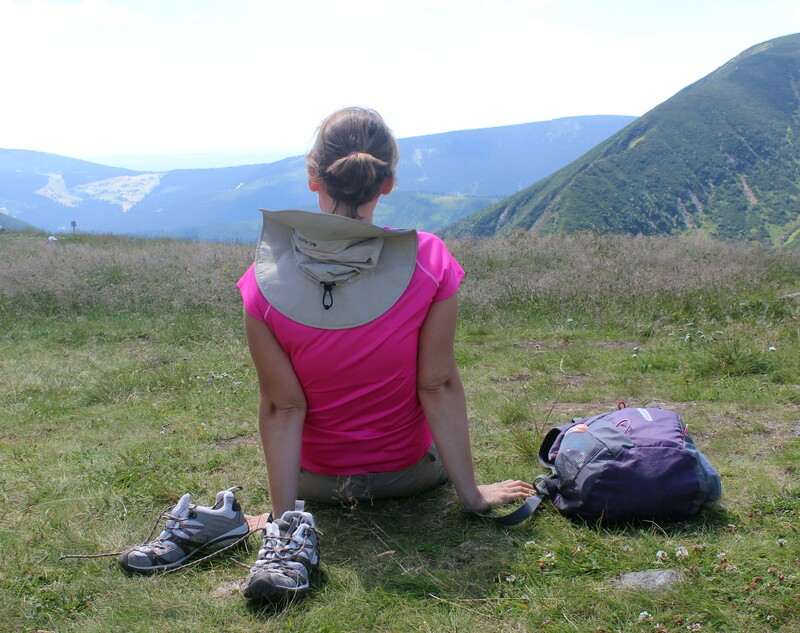 Yesterday was the day we decided to conquer Śnieżka, the highest peak in the Karkonosze mountains. 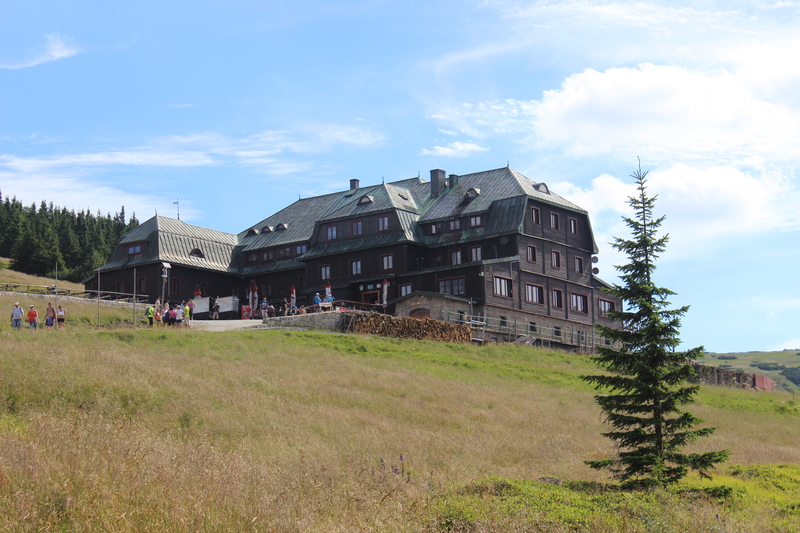 Śnieżka’s summit soars at 5,259 ft – just shy of Mt. 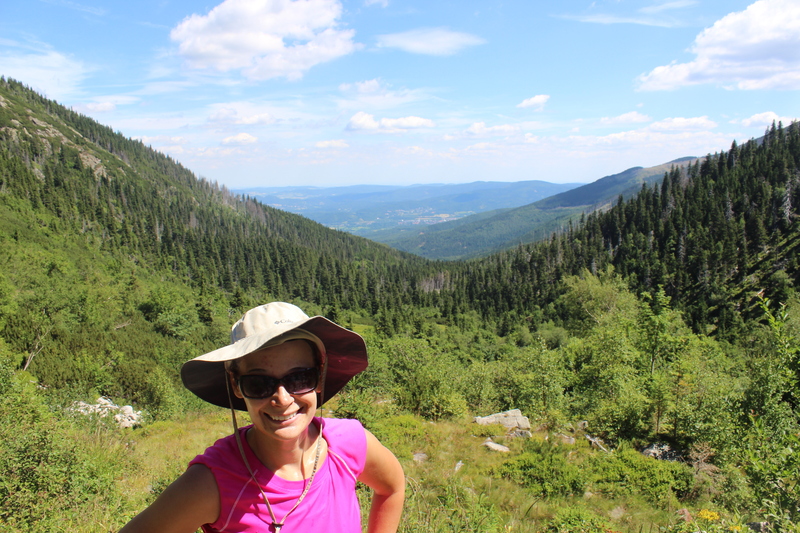 Marcy in the Adirondacks. 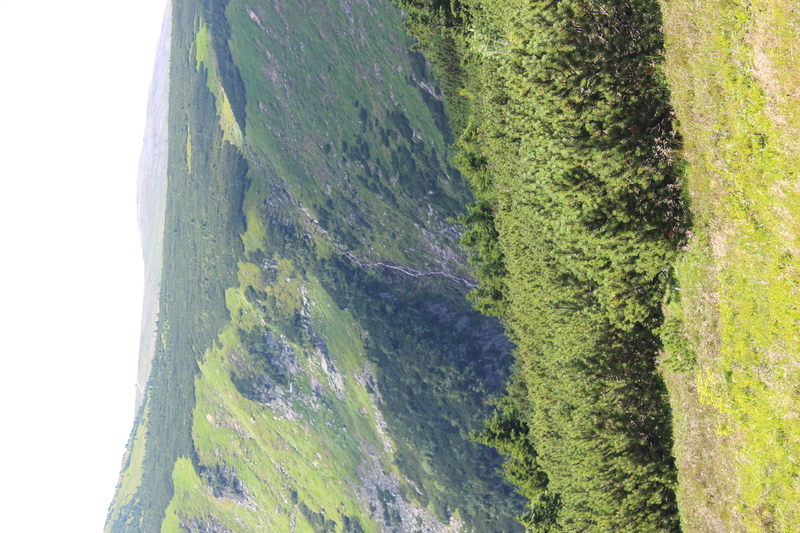 The sweltering heat that plagued in Prague followed us to the mountains. 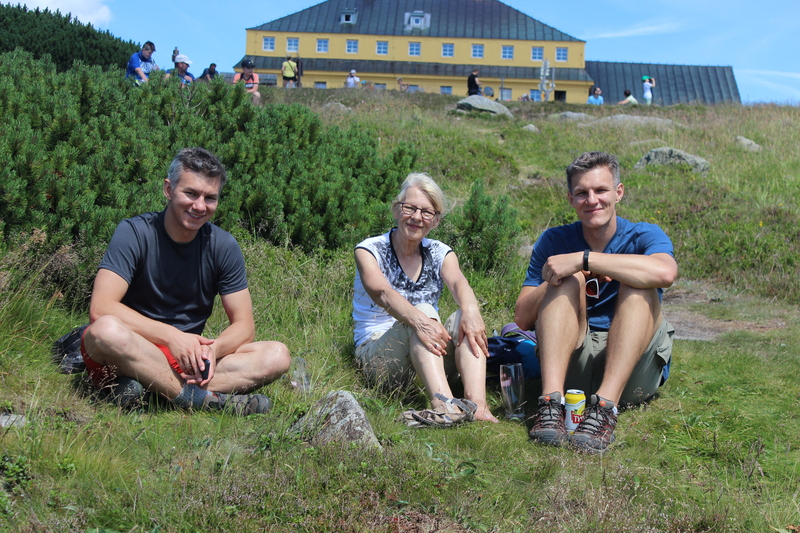 Michal, Tomek and I decided to brave the heat and trek up the mountain. 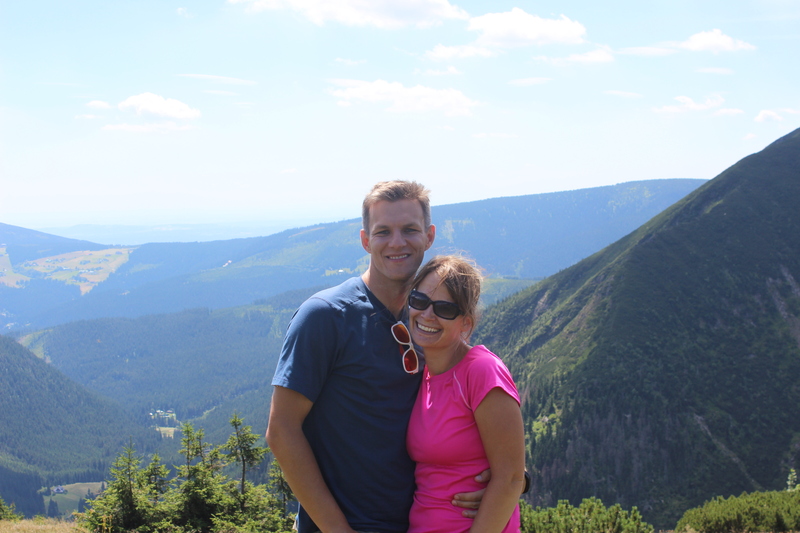 Michal’s mother stood in a two hour long line and took the ski lift up to the top. Just about every 45 minutes or so we arrived at a shelter. Here we were able to rehydrate- the boys with beer and me with an iced tea, juice or gatorade – and take shelter from the sun. Even with our stops we managed to get to the top of the mountain in an hour and forty five minutes. We beat my mother-in-law there. Getting to the summit was the worst part. It was ridiculously crowded by all the people who took the ski lifts up (on the Polish side the ski lifts took people to the shelter that was about a 30 minute hike to the summit. 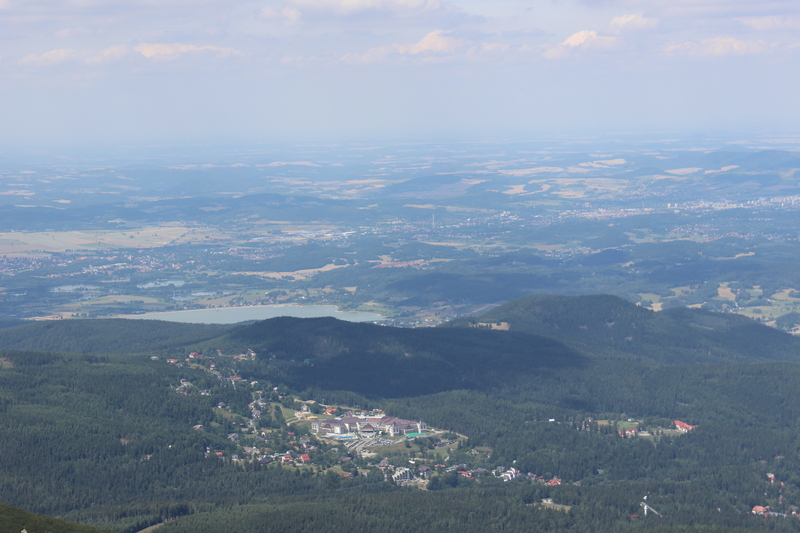 On the Czech side, their lift went straight to the top). 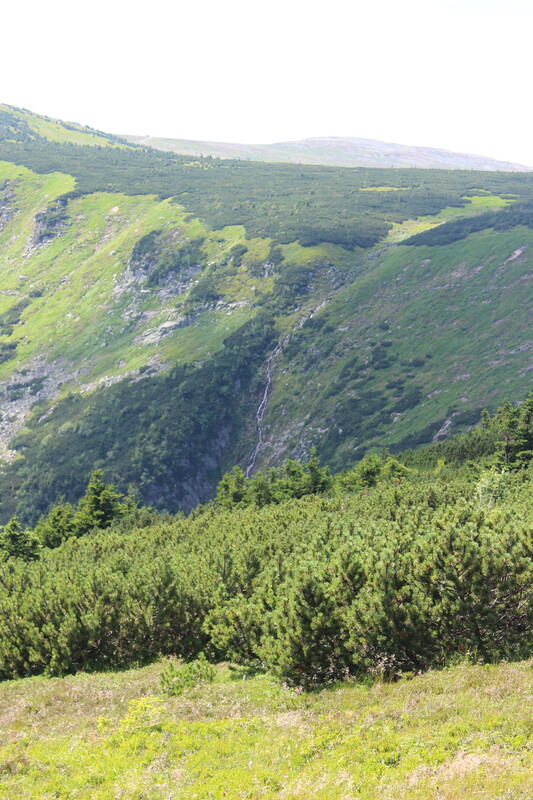 The path from the shelter to the summit was straight up and very difficult. 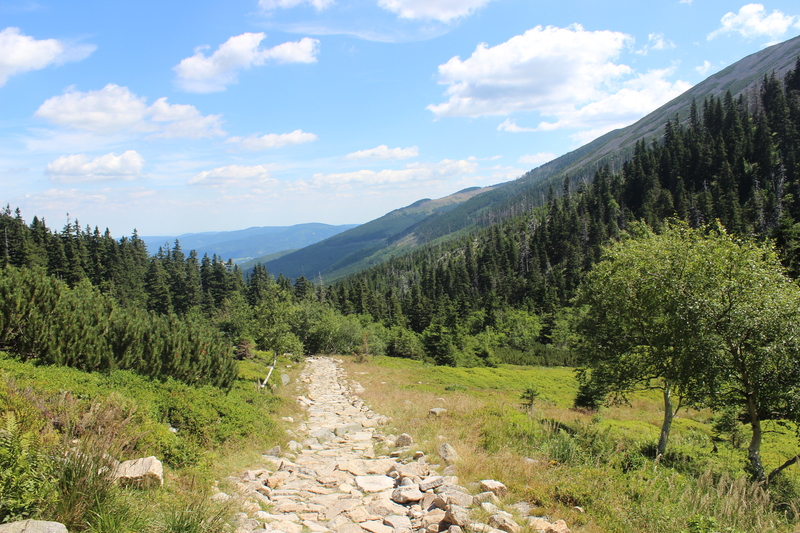 We were slowed down by people hiking in heels, those with small dogs, and more who just were not in shape for that challenging 30 minute trek in the intense heat. The summit was VERY crowded. 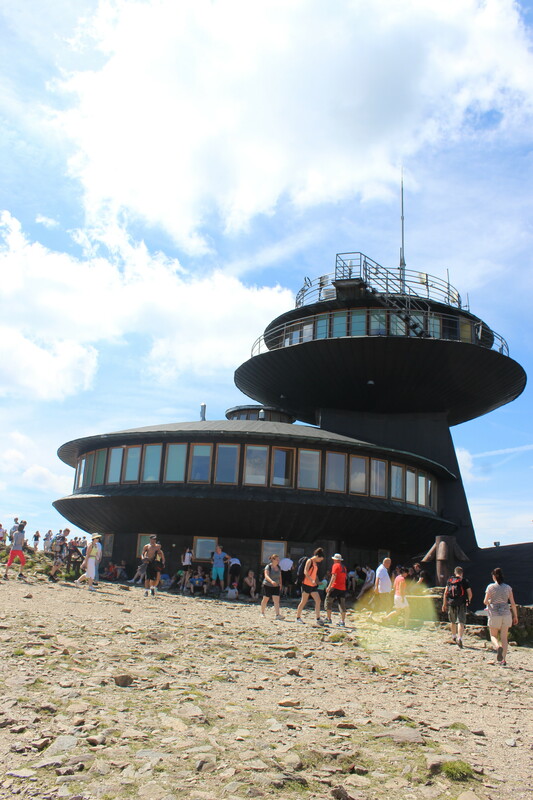 On the Polish side there is a UFO shaped observatory and restaurant. 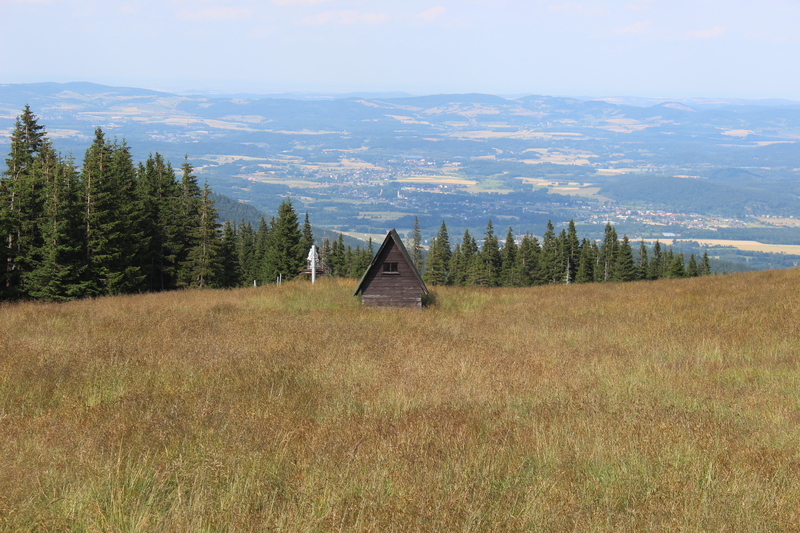 On the Czech side there was a post office and observation platform. Due to the crowds, we only stayed long enough to get a stamp in our mountain passport and to eat a quick snack. The views on the hike up and from the summit were beautiful. Rolling mountains and clear visibility for as far as the eye could see. I loved looking down on the small villages nestled between towering mountains. I dreamed of diving into faraway lakes and cooling down. Towards the top we stumbled across a memorial to hikers who died in these mountains. Given all the stairs we were climbing and the relentless heat I thought for a few minutes that perhaps a plaque dedicated to me may soon decorate the mountainside. We hiked about 13 miles all together yesterday. We were beyond exhausted from the heat. Tomek ended up changing his skin tone from white to lobster red. We were incredibly fortunate that the skies were clear and we were rewarded with such stunning views. When we woke up this morning the skies were gray and it was sprinkling. Right now I’m sitting in a small cafe and actually relaxing. 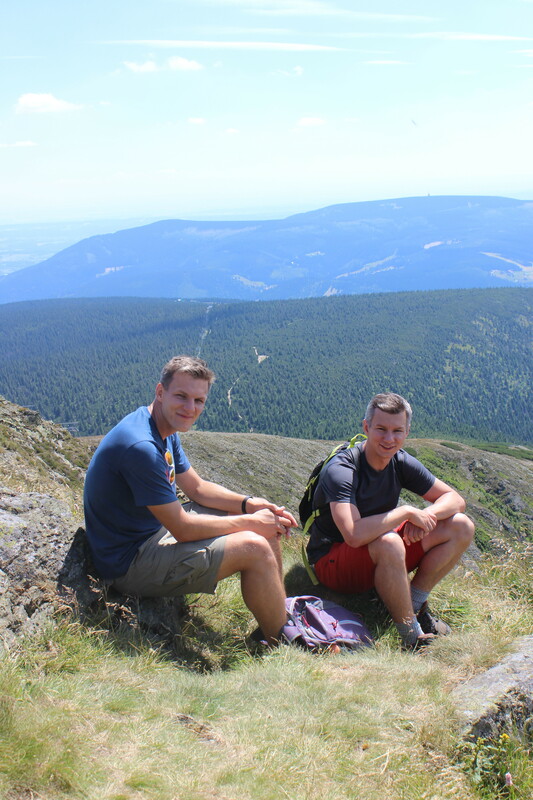 The highest peak has been conquered!